Famm is a journal and private messaging app specifically made for Parents with kids. It has been more than 10 years since Facebook was first launched. It was Facebook who popularized the word “social network”. 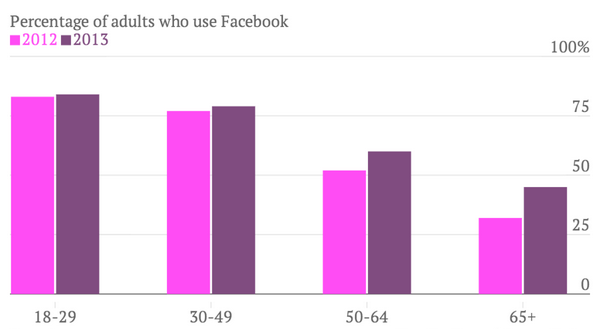 As founder Mark Zuckerberg turns 30, so are most of Facebook’s users. According to the Pew Research Internet Project which conducted a social media survey, last year, 45% of respondents over 65 said they used Facebook, a big jump from 32% just one year before. The percentage of users in the 30 – 49 age group category is increasing too. As the average age group increase along with time, so are the number of parents being exposed to social network. 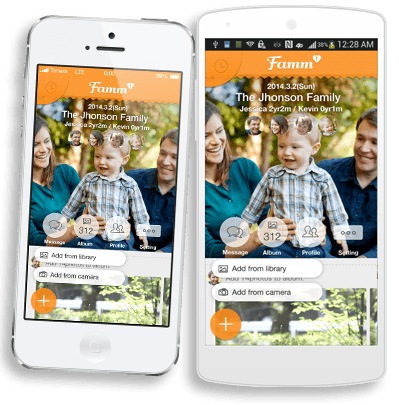 Recognizing this, Japan based Timers, has just launched a new private messaging app called Famm specialized for parents. 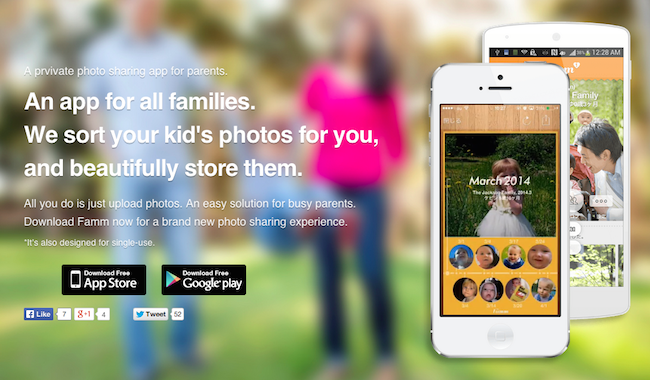 Famm allows parents to save beautiful family moments online and share those photos with their friends. 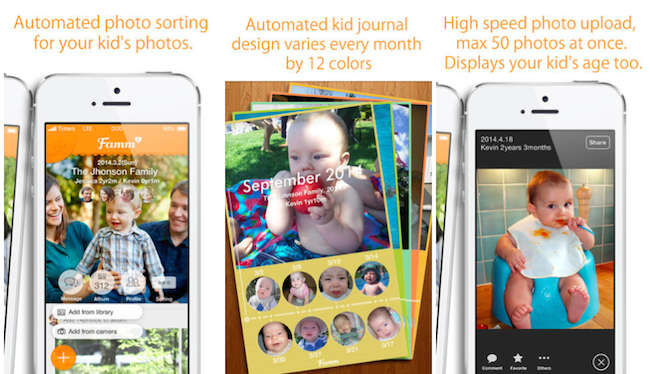 Unlike Facebook which may be cluttered with your professional work life, Famm allows parents to share children’s photos in a private space. 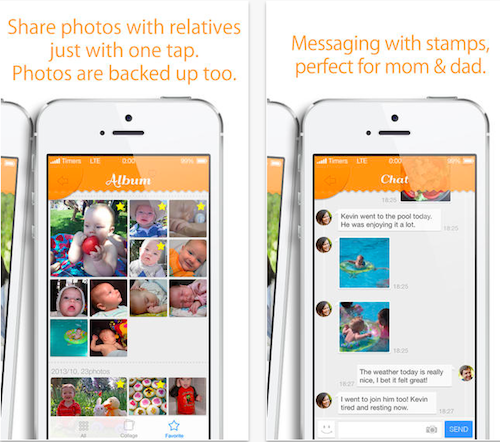 Famm also offers simple messaging features for parents, with free well-designed stickers, and a fast photo-uploading experience. It is currently available in 5 languages. “As open social networks, like Facebook, LINE and Instagram.,becomes more and more popular, the demand for private photo sharing and messaging is emerging too. Also, the size of the traditional digital camera industry is shrinking due to the spread of smartphones, and children’s photos are now being taken mostly by smartphones,” said CEO Toshimasa Takahashi. Would the app be more and more popular? You can bet on it. A recent study by The Asian Parent shared that Asian mums has gone digital with over 80% of women in Singapore, Thailand, Malaysia, and Indonesia increasing their usage of the Internet once they become mums. This is fitting with the launch of Famm, a family focused app, which just raised US$1 million in investment to increase their reach around the region. 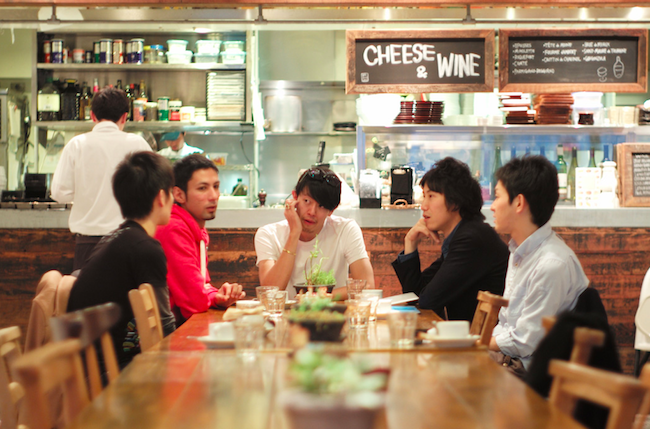 The company behind Famm, Timers, is also the creator for Japan based couple app Pairy. Similar to Between which we recently covered, couples can use Pairy to record their relationship and communicate with their others half. Other than pure chatting, there’s also a sharable album, a calendar as well as a date planner so that couples can plan for their next outing. The company holds strong to the belief of connecting lives between human beings, and as an extension to connecting couples, the newly released app Famm aims to connect family members with one another.